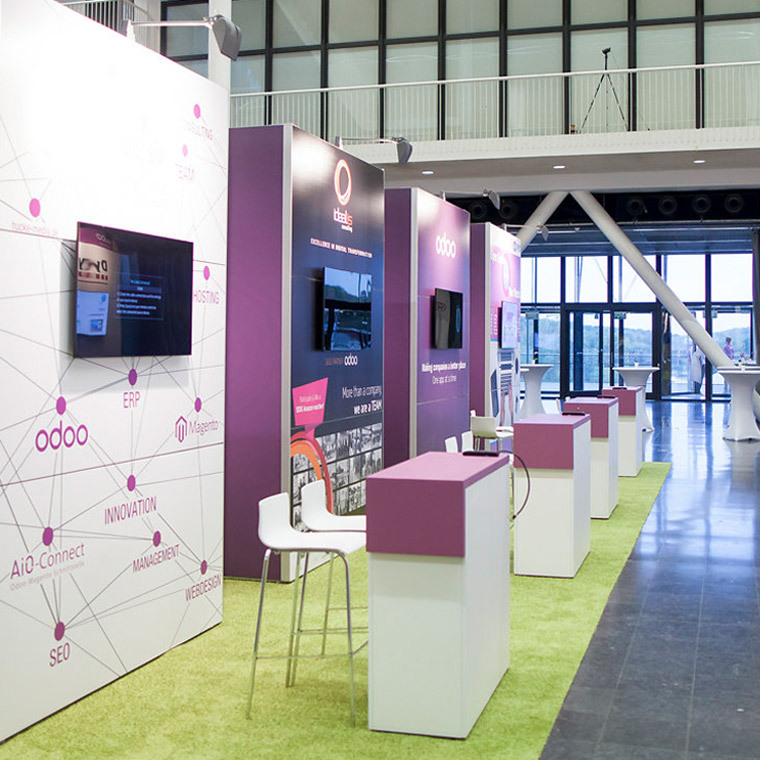 *1 time slot = During this time slot, one presentation/topic at your booth will be promoted by Odoo to showcase your expertise to the public (am and/or pm). The exhibition hall isn’t just about visibility but also expertise. This concept is perfect for companies who want to demo one of their modules, show the audience a customer reference, or do a presentation about their services or implementation methods. You can book from ½ day to 3 days. Booths are sold per ½ day through the whole event.